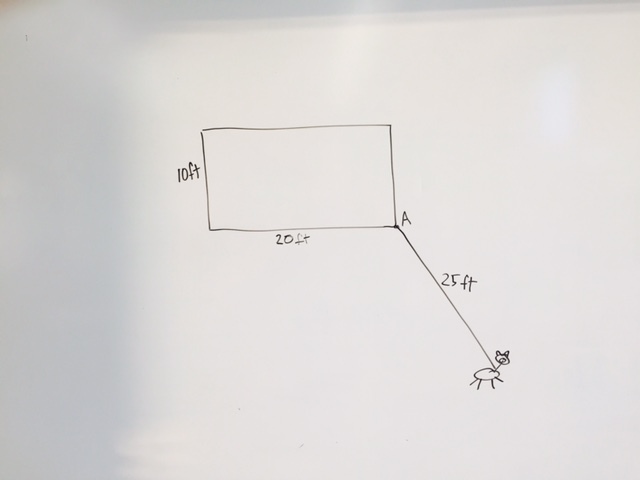 A goat is tethered to a 25 foot rope attached to a rectangular barn at point A. 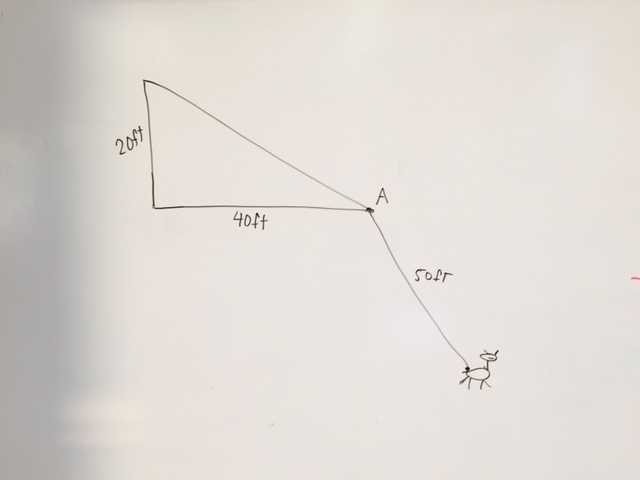 What is the total grazing area available for the goat? I leave them room to experiment – especially as to how to handle the situation when the goat starts to walk around the barn. Last year I took them outside, gave a student a rope and they played the goat, with a picnic bench as the barn, and modeled the situation. I didn’t do that this year for reasons I hope aren’t my own laziness. 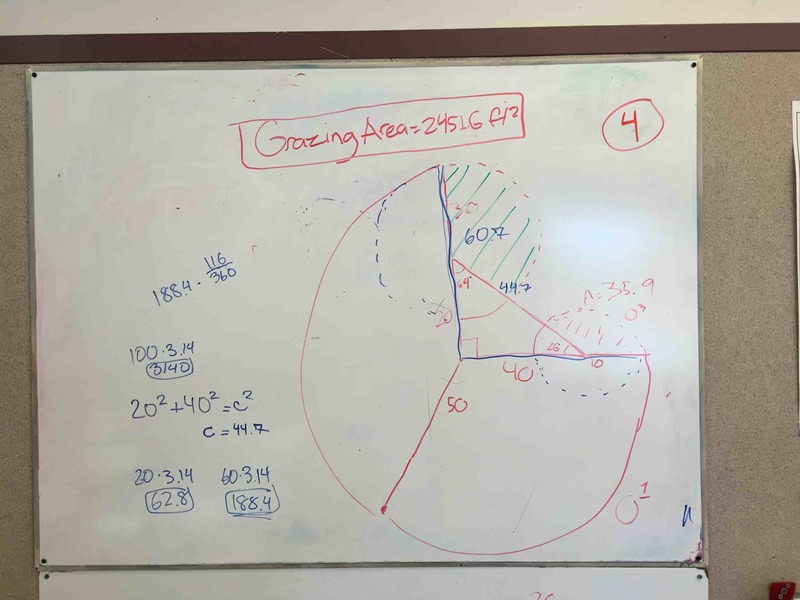 I did this lesson the day after the students learned how to find the area of a sector. I followed it up with another grazing goat problem the next day where they were working on paper by themselves. 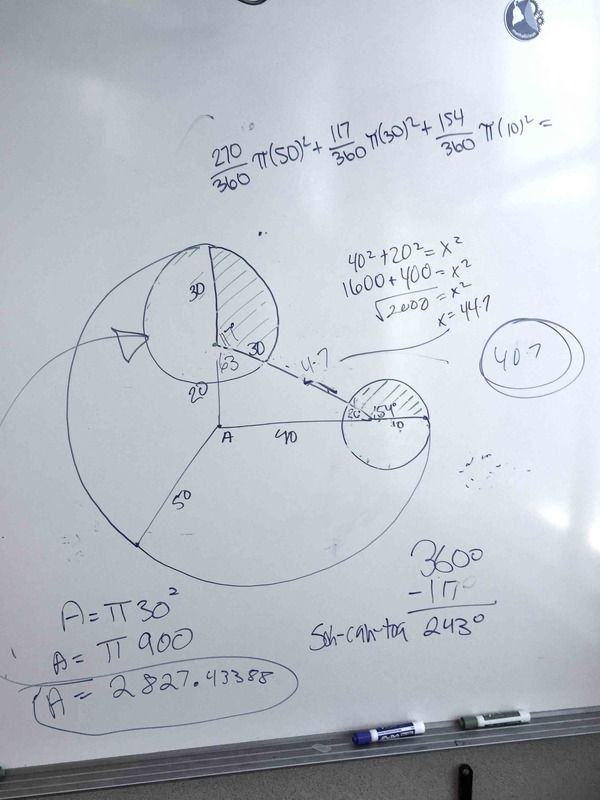 It’s not like they knew exactly how to do the problem the next day – but it was that they all persisted, asked questions, and got to a final conclusion. So I’m happy. 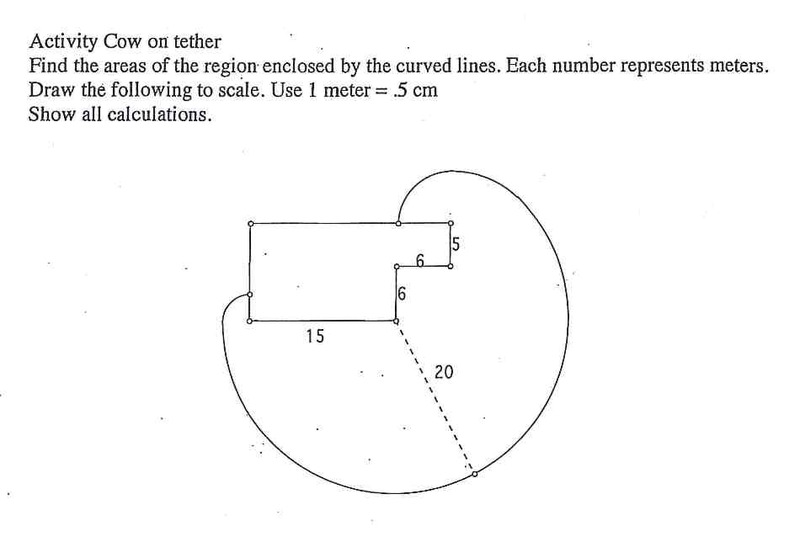 I like this question because although it is not real world – it is about real things that students understand. 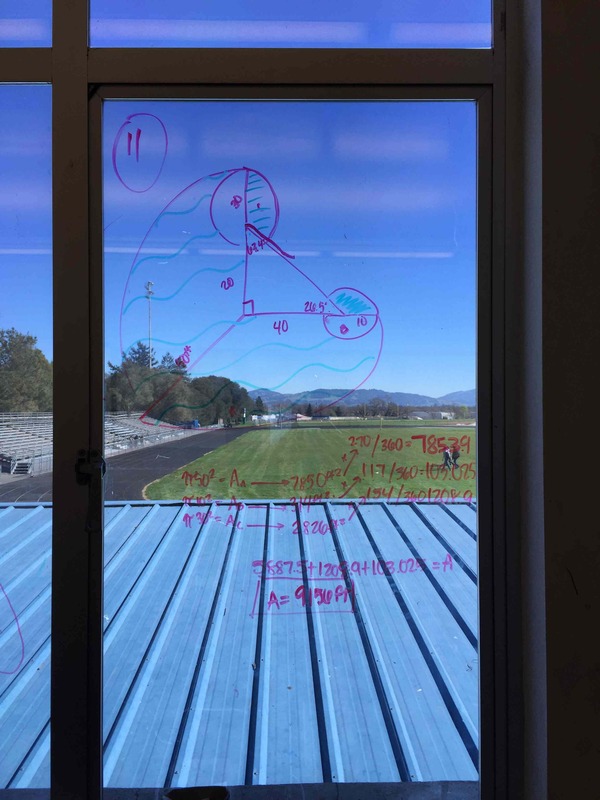 I also think it finds itself into the flow of a classroom where students find it appropriately challenging – they believe they can do it but yet the solution doesn’t seem immediately obvious. Oh, and I teach in a community with a lot of agriculture and the students told me that you really don’t tether goats. Lucky for me that didn’t stop anyone from solving it. 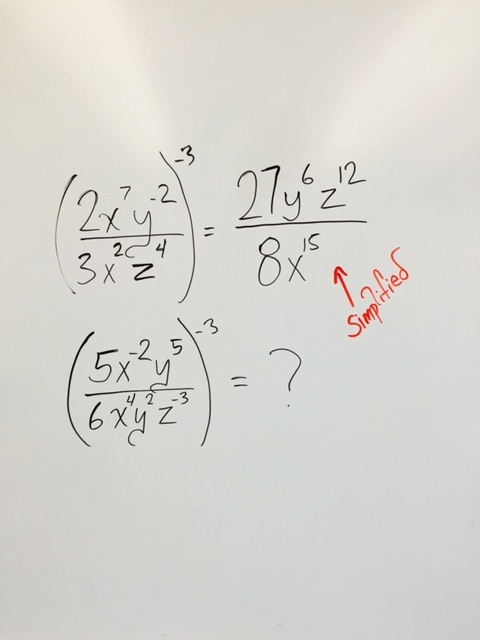 I introduced exponent properties this year by writing this on the whiteboard and asking them to make observations about it. 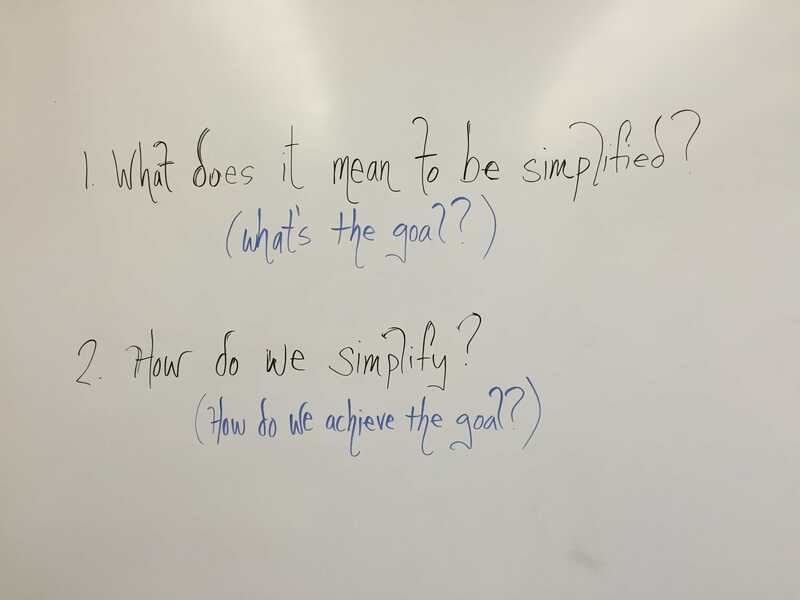 There was some back and forth as we discussed what it means to simplify and how to simplify. I was short on answers and kept the discussion geared towards observations. 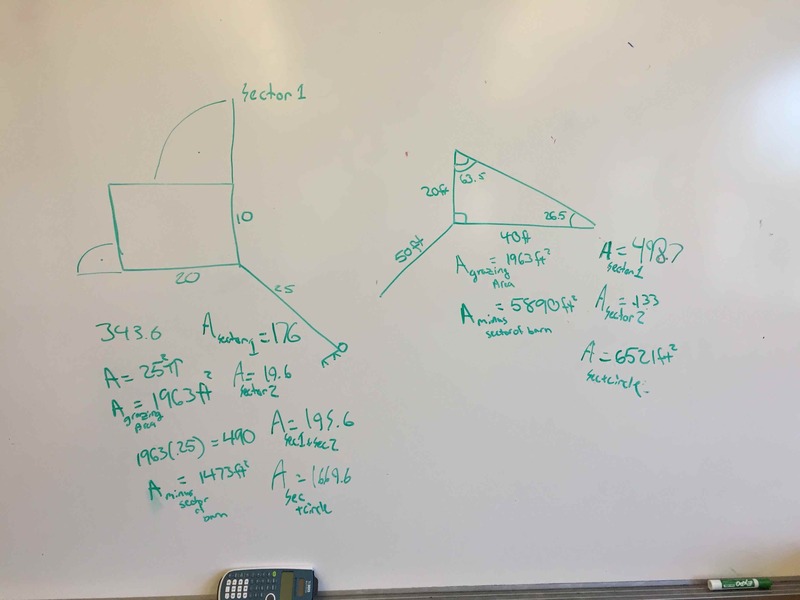 From here I gave them a little half sheet with six expressions on it – grouped in them in groups of two – and off they went simplifying (do I need to add that I had them working at VNPS???). 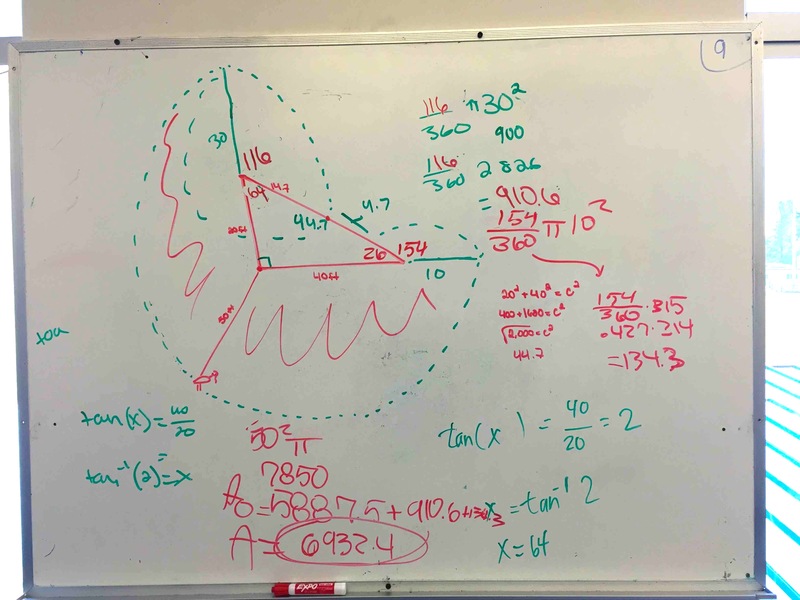 I spent less time this year than normal covering simplifying expressions and I didn’t notice that students were any worse at it – so I’d say this approach was a success. The next step I suppose is to apply it to other procedural concepts. 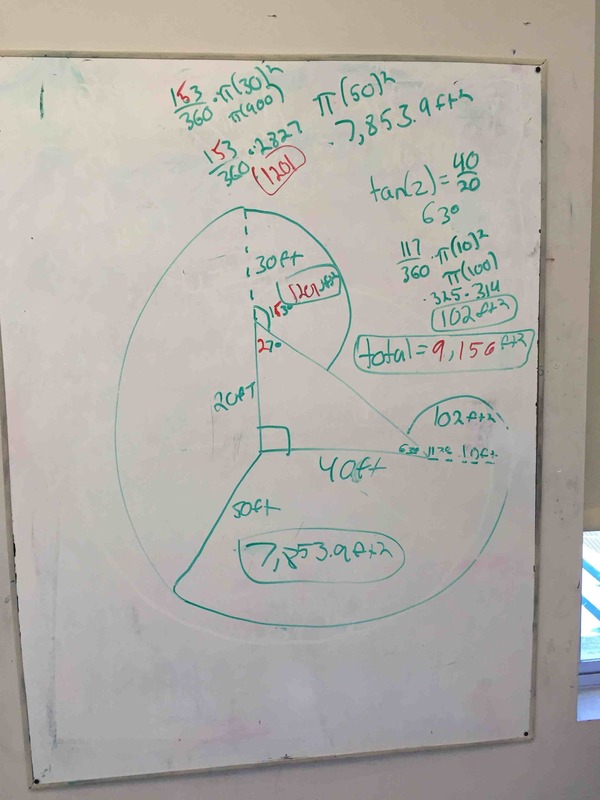 How many of the mathematical practices can we get at when we introduce concepts based in procedural fluency? 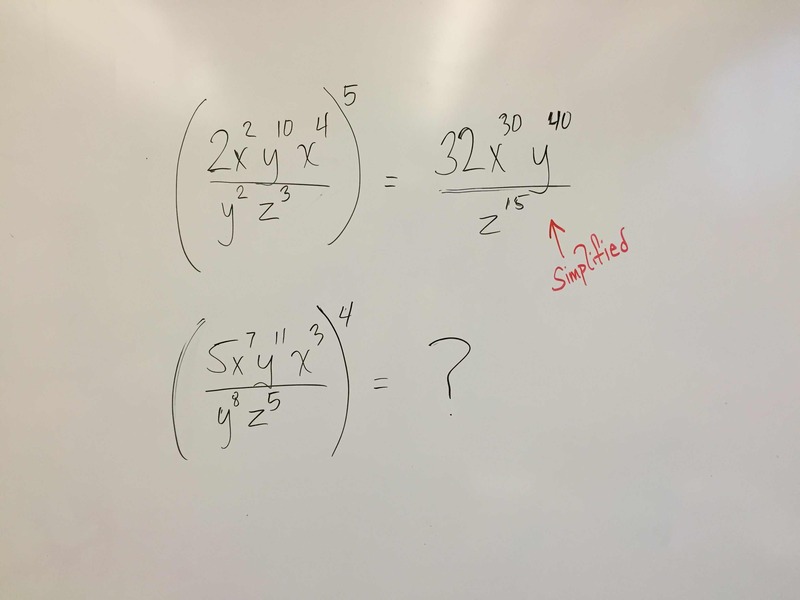 That question is swimming through my head as I begin to teach factoring.